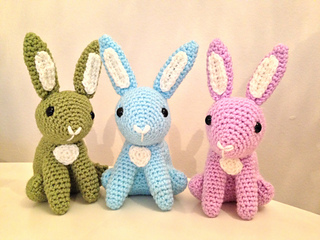 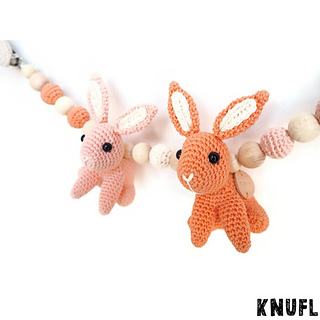 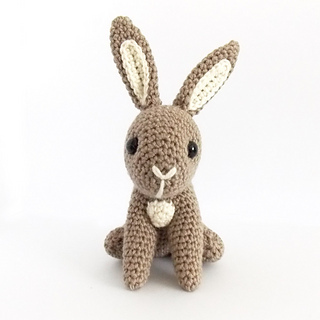 Meet Hopscotch - a little bunny who can’t wait to welcome in Spring! 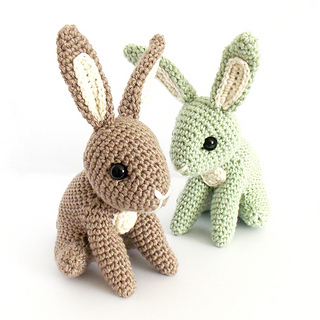 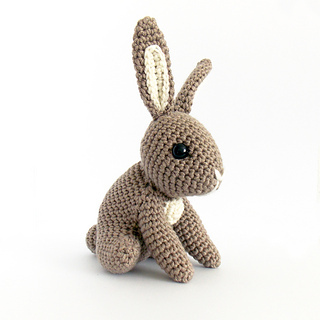 With his perky ears and cute button tail Hopscotch will make a perfect addition to any woodland critter collection. 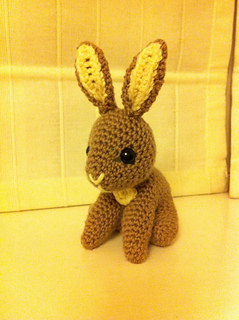 Dress him up with a satin ribbon for a lovely Easter gift for any little boy or girl! 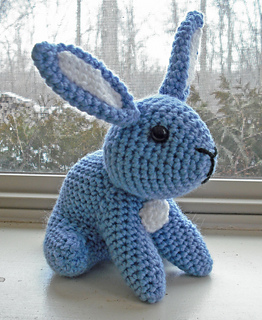 This pattern is written in US crochet terms, with added pictures to help along the way. 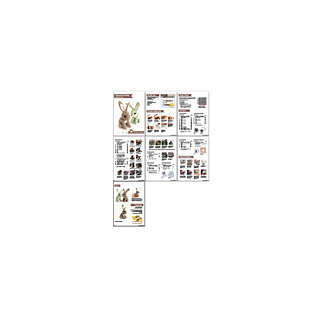 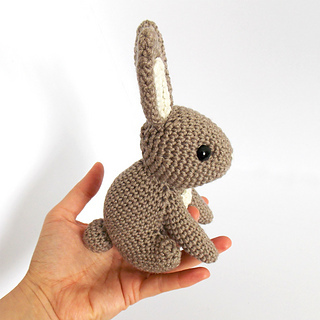 There are step by step photos detailing how to begin crochet, assemble the parts and finish the object. 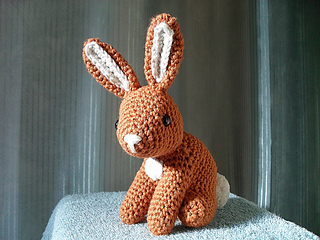 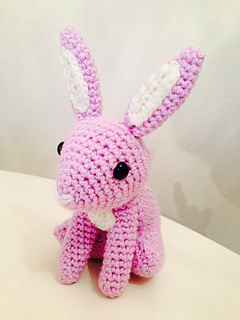 Finished bunny will measure around 18cm/7” when made in Debbie Bliss Baby Cashmerino with 4.00mm hook. 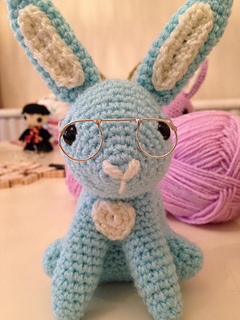 You will need 30g for Main Colour and less than 5g Contrast Colour, plus 10.5mm safety eyes. 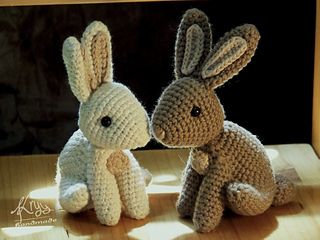 This project should take around 2-3 hours to make.